The 3350 series power and free conveyor includes 2 superposed tracks. Upper track section: 60mm×68mm×thickness 4mm. Chain and trolleys with rollings with steel bearings. 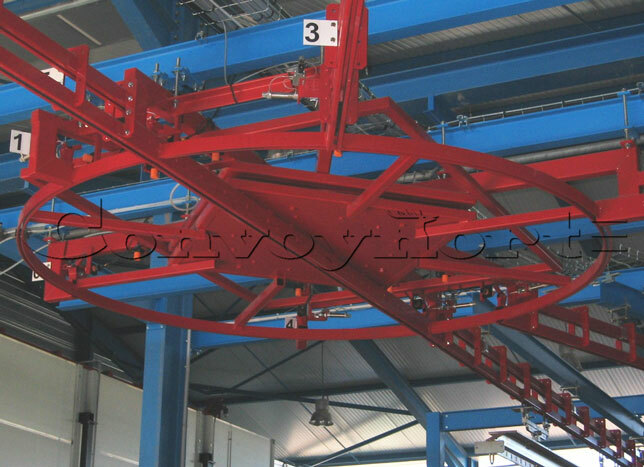 The distinctive feature of CONVOYNORT's twin track conveyors is their easy driving and accumulation mode. 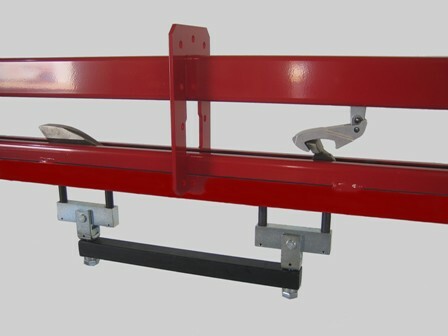 The 3350 series conveyor power and free can receive elevators on its loading and unloading stations. 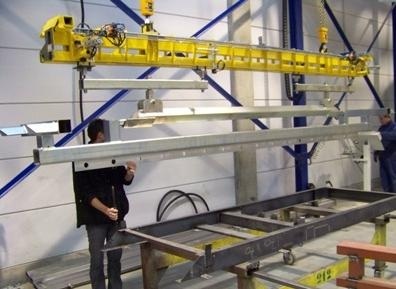 For very long parts to be carried (lighting posts, candelabras) a tilt of the lifting section can be needed to facilitate unloading and unloading operations. 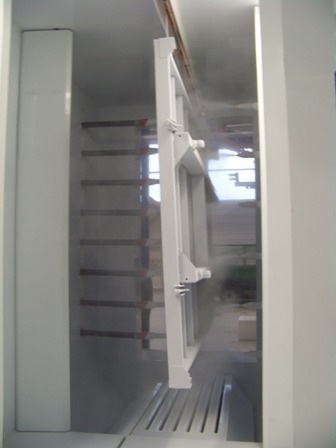 For electrophoresis paint jobs, mobile load bars are provided on the twin track conveyor. Here is a loading station of the carrier upstream from the tank set, through a robot. 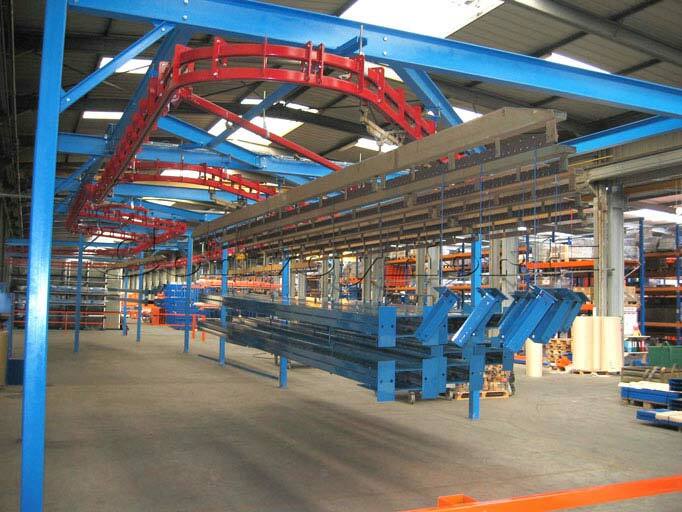 The suspended tray conveyors of the conveyor are indexed to the loading station. The programme number, colour, paint booth selection, etc. are entered by the loading operator, using either the keyboard or a barcode device. For many destinations, the turntable allows rotations of carriers around themselves, with significant space saving. Turntable may have a simple role of rotation or multiple switch. 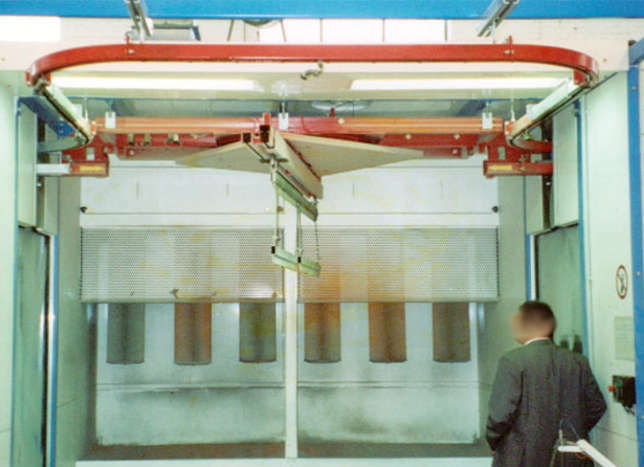 Picture 1: Rotation of +/- 180° of a workpiece inside a paint booth allowing to paint on both sides. Carrier accumulations in inventory areas are managed by the stop stations connected to the conveyor robot. 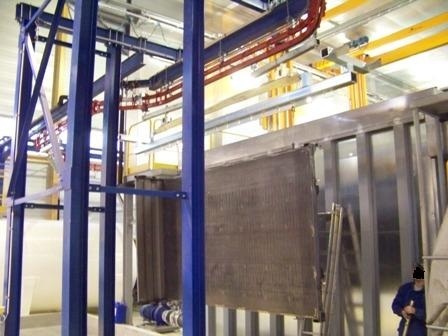 CONVOYNORT on request includes the system automation. The summary, time management, operating modes, etc. are displayed on a screen. 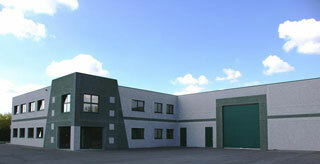 CONVOYNORT trains maintenance personnel and users.